Properties in Hihi Beach average 4.6 out of 5 stars. Property 12: Small but ideal. Walk to beach. Property 29: Caravan in the orchard with a view. 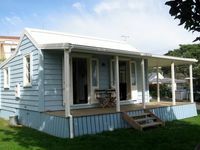 Property 40: The old bakery cottage located on the waterfront. This home had everything we needed and was perfect for a family trip. 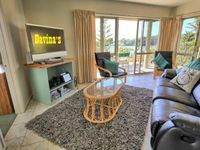 David and Ina helped me to find another house to book just 2 doors down for the rest of our family group so it all worked perfectly. Would love to return again and spend more time just admiring the view from the balcony which is even better than what a picture can show, loved this place!